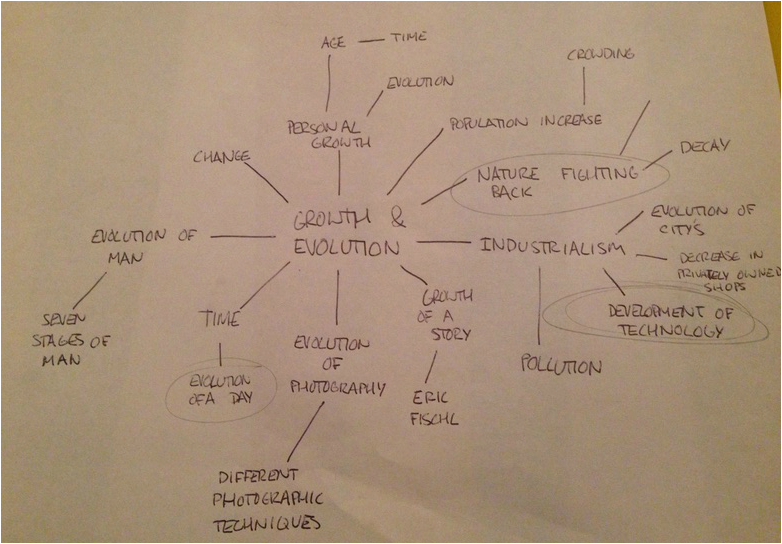 Evolution of time is a key aspect of life, and is the subject of many books and artworks. The evolution of generations and the progression from youth to old age is something that will eventually effect everyone. To present the evolution of the camera and quality of photos I captured three images using different photographic techniques. 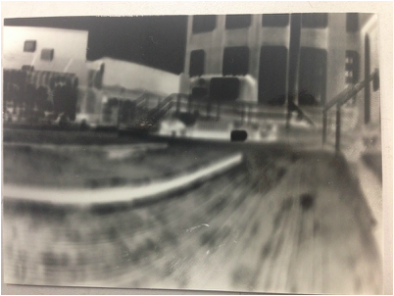 The first image was taken using a pin hole camera, the second used an analogue camera and the third used a modern day digital camera. 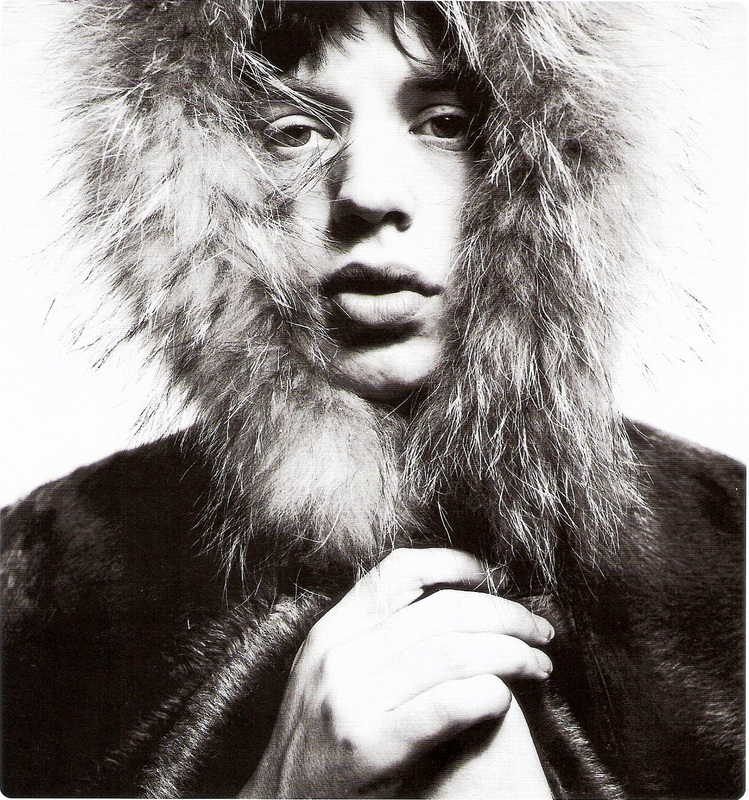 The title, 'Bailey's Stardust' was given to this expansive exhibition because of David Bailey's growth to fame and his wide portfolio of observations and depictions of the evolving world of celebrities, which he has been surrounded by, over the years. 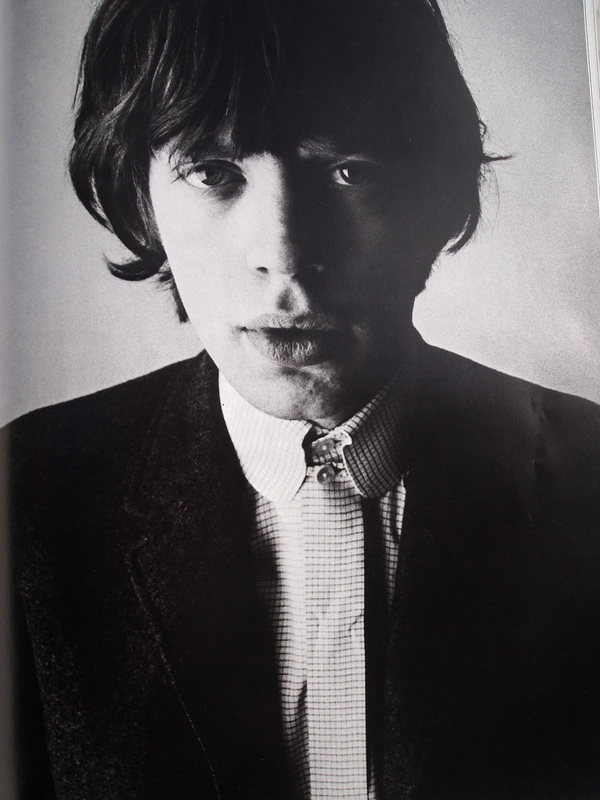 Evolution is shown clearly in his work as he perfects his style and skill over the years, however growth is also shown within his subject matter where he has re-photographed particular celebrities over the years, such as Mick Jagger, David Bowie or even his current wife, Catherine Bailey. 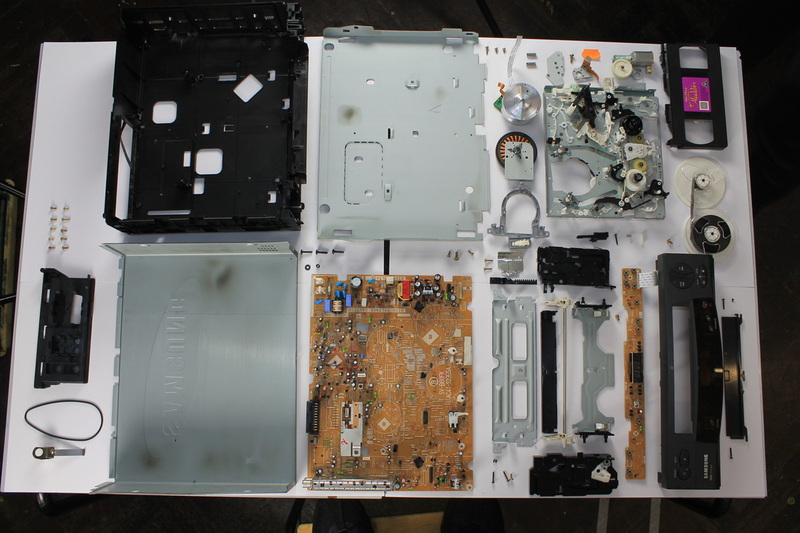 Todd McLellan makes the complicated inner workings of everyday modern technology visible by dismantling them and photographing the seperate components. In this series entitled 'Things Come Apart' he either captures the dismantled parts being thrown up in the air or set out neatly onto a white backdrop. He is essentially highlighting the intricacy of modern day technology and their construction. 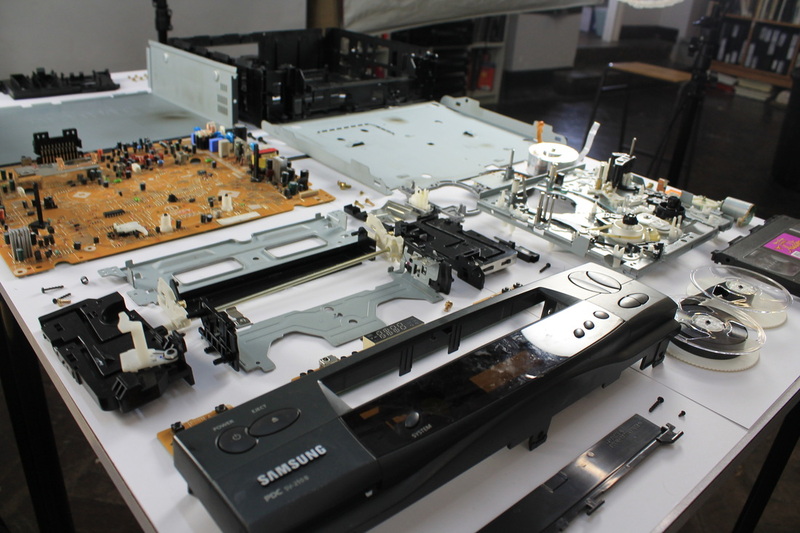 In response to Todd McLellan, I dismantled a video player and set out each part in an organised fashion onto a white background. 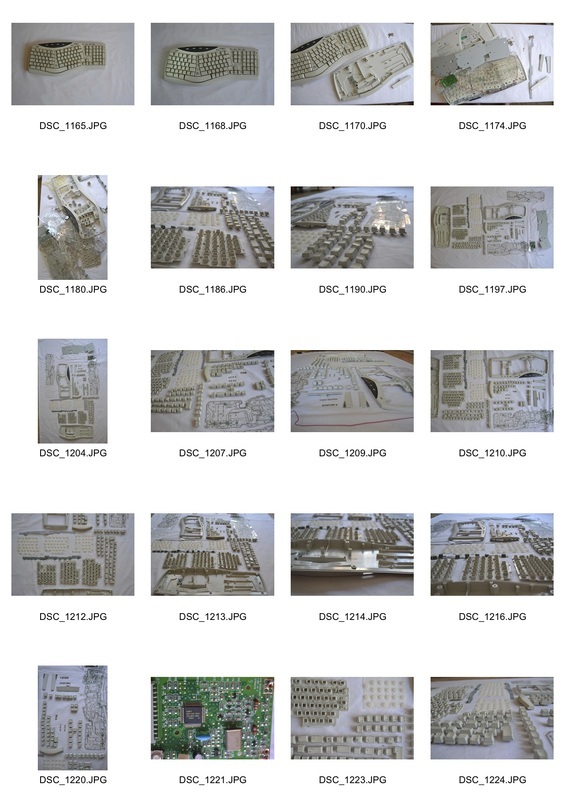 I then photographed the arrangement from a high angle to achieve a bird's eye view of the parts. After noticing the city-like structure of the circuit boards in my Todd McLellan Response, I have decided to develop the idea of photographically displaying the advancement of technology. By capturing the components at a low angle they can be made look like futuristic cityscapes. 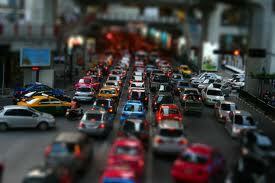 Using tilt shift photography while taking these images would help to highlight this idea. The images I took reminded me of Le Corbusier's 'Unite d'Habitacion' plan for Marseilles, shown to the right. This idea was a wide span plan for modern housing, developed from the idea that a home should be a machine for living in. 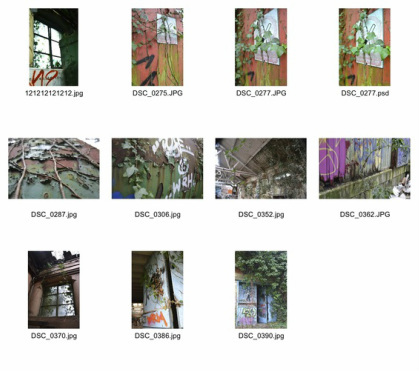 This strand will look into the struggle between nature and the growth of man-made structures, capturing images of plants fighting back against derelict buildings. I visited an abandoned packaging factory in Totteridge, a site used for my final series in Unit 3. I captured signs of nature growing back, aiming to capture man-made structures and a theme of encroaching industrialisation in these shots to highlight the contrast between the two. I wanted to convey the impression that the nature was fighting back and breaking down the built rnvironment that once took it's place. 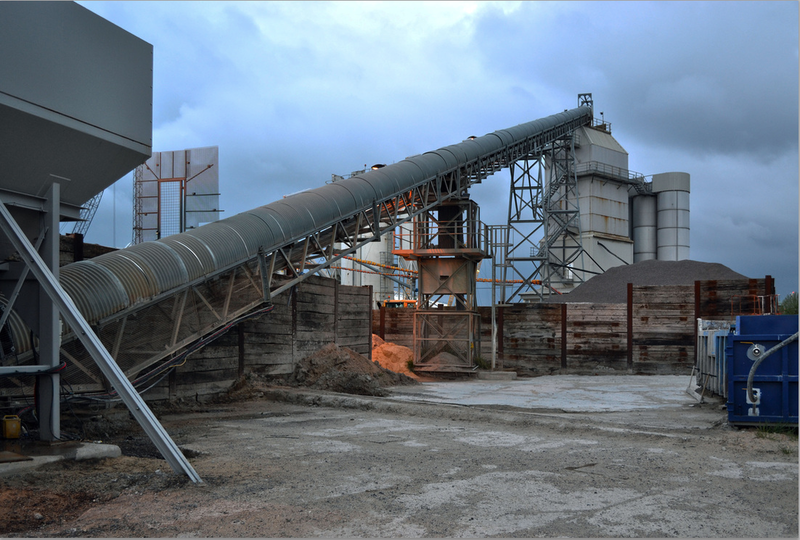 I felt that these two images expressed the theme of nature fighting back against industrialisation and the man-made structures which took their place. 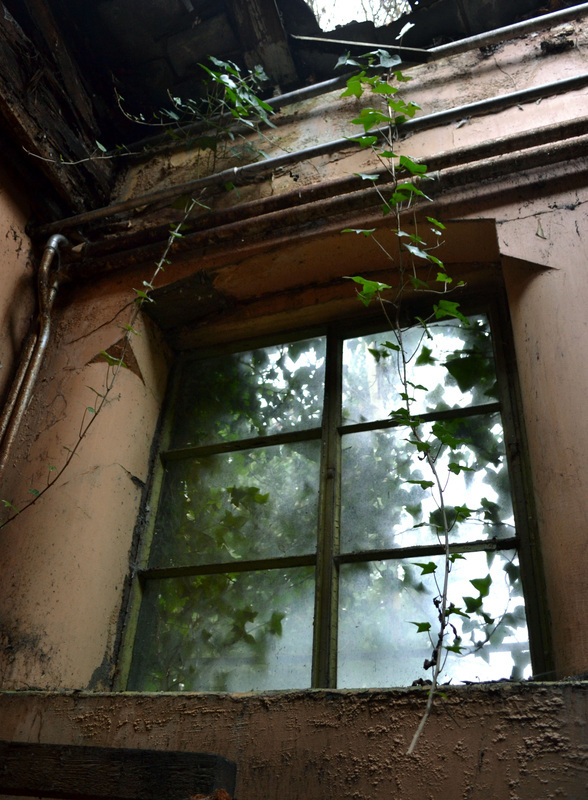 The ivy growing up against the window, blocking light and almost invading the building's privacy highlights my idea that there is a constant struggle between the two contrasting aspects of timeless nature and modern industry. 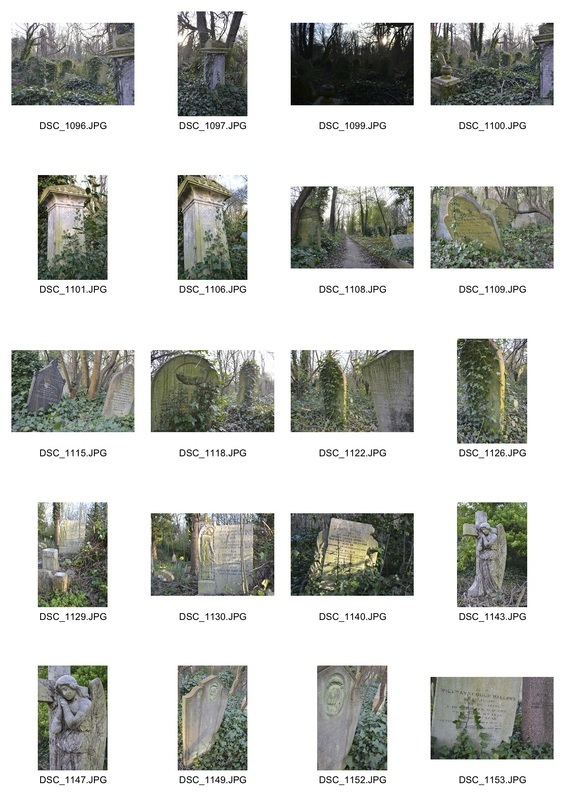 For my second set on the theme of Regrowth I visited Abney Park Cemetary, Stoke Newington. 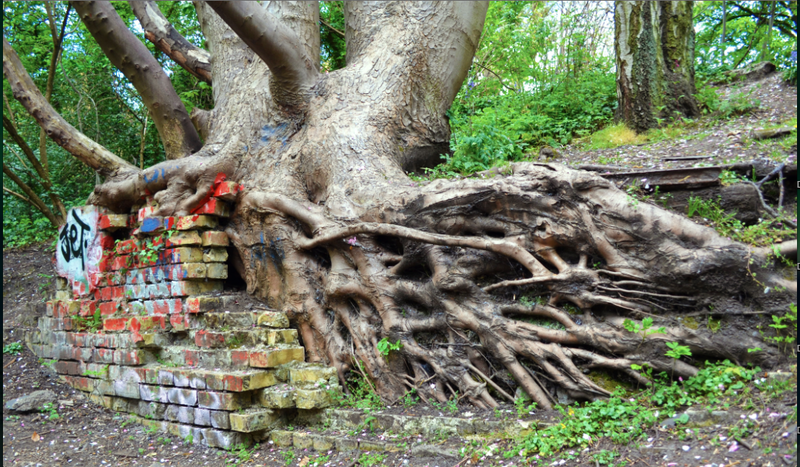 I aimed to capture a further set of nature fighting back against man-made structures. I hoped that the subject matter would capture the circle of life and death, with nature growing and developing over areas of decay. The gravestones can be seen as a monument to a completed lifetime, making the regrowth fitting in this environment. I chose to take these photos as the sun went down, casting faint light across the graveyard through the trees to highlight the way the plants spring up and spread over the head stones. Setting the image to left into black and white gives a contrast to other images in this set, the intense shadows and highlights help to bring out it's contre jour lighting. 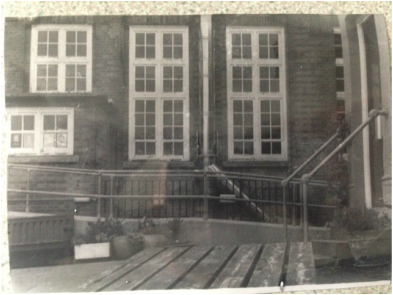 The black and white makes the image to the left look like an old fashioned photograph, linking the image back to the age of the artefact. In future sets I may use this idea to either emphasise lighting or give a contrast against other colour photographs. Bringing industry closer into view, to display the results of our demands upon an evolving city. This strand will focus on themes associated with the evolution of a city, such as industrialisation, high-rise tower blocks, with foregrounds of industrial constructions, by photographing images of industry. Le Corbusier was a Swiss artist and architect who developed the model of multiple units of housing he called 'The Unite d'Habitation' . Each unit was identical, with identical floorplans and windows and could be contructed on a massive scale.This evolved from his earlier idea that the modern home should a machine for living in. 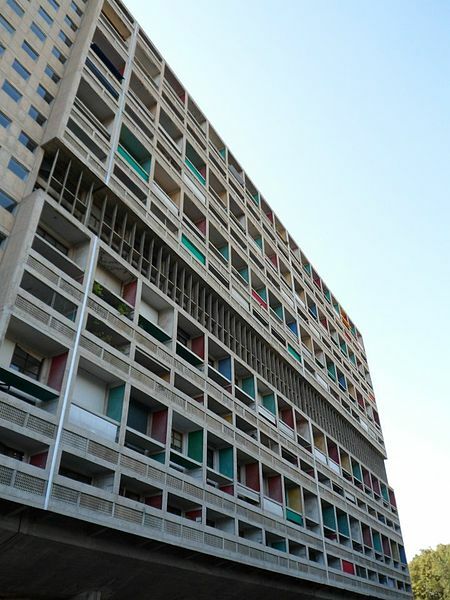 Completed in 1952, Le Corbusier's housing development in Marseilles has been blamed for launching a thousand brutalist, concrete apartment blocks around the world. This includes many notorious estates in London, which were built in the 1960's and demolished less than 20 years later. This style of public housing projects are seen by some as having isolated poor communities in monolithic high rises and breaking social ties important in the community. Edward Burtynsky focuses on the theme of nature being transformed through industry, suffering from pollution and being pushed to it's limits. He often uses subject matter of considerable scale and detail, such as mines, quarries and refineries in order to reinforce this them to his audience. Although we use the output of these industries on a daily basis, we rarely see and are unfamiliar what they have grown into in order to respond to our needs. This theme brings up an evident contradiction between how we depend on nature for our consumption and our care for the planet, highlighting that the world is suffering for our growth. 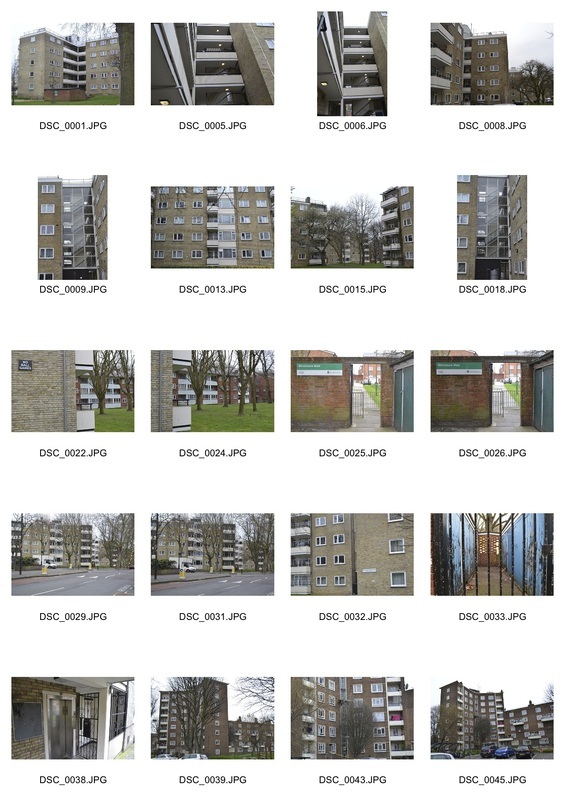 To initiate my study into the theme of industrialisation and dystopia, I photographed five local council housing estates. I aimed to capture the idea of an alienating duplication of living areas, exemplified by Le Corbusier's housing developments, by using compositions with either flat-on angles or with great perspectives to highlight their uniformity and scale. I selected the images with the strongest compositions and decided to set them into black and white to exaggerate the grey, soulessness of the buildings. Rut Blees Luxemburg is a German photographer, who captures her images at night using a long exposure, bringing out the light in the composition and the lives being lived within the building. She takes her images at night as there is often little activity on the streets, creating eerie scenes exaggerated by the dramatic lighting, which creates a contrast against the city in the daytime. Luxemburg describes the city as "a place of constant possibility" and says that the night is a gap for anticipation, free from the "commerce and trade, all of which dominate the daily experience". 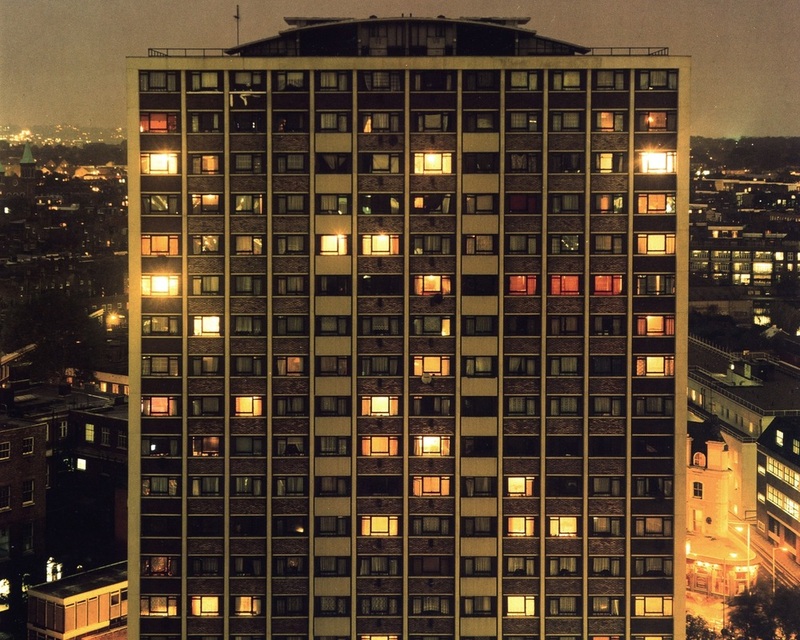 One of her many night-time series; 'A Modern Project' looks into London's council estates. It contains many images that work with the idea of high and low, some of my favourites are her high-angle shots,as they almost create a sense of vertigo. 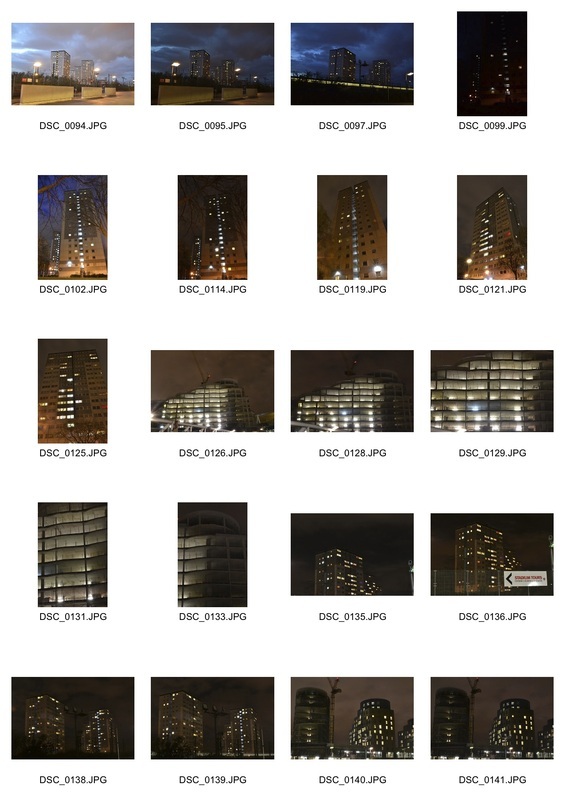 To respond to the work of Rut Blees Luxemburg, I captured images of high-rise council blocks at night time. For these images I used an exposure of ten seconds and altered the aperture depending on the lighting conditions of the individual shot. I used low angles, making the blocks look more threatening, in order to exaggerate my underlying theme of the evolution of a city into a dystopia. 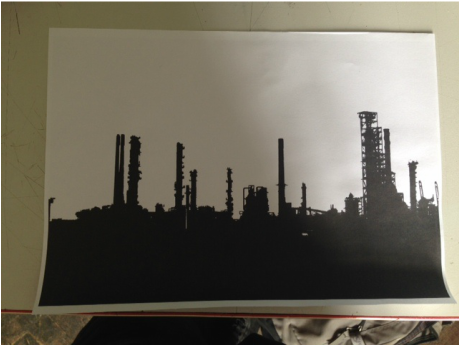 The two images below; Rut Blees Luxemburg's 'Towering Inferno', and my own image of a tower block in Drayton Park display how I have both responded to Rut Blees Luxemburg's style and used it to highlight my theme of urbanisation,industrialisation and dystopia. To the right is one of Rut Blees Luxemburg's night time series, in which she captures tube station fronts through reflections in puddles. I liked the sudden contrast between the pavement and the detail and colour captured in the reflection. 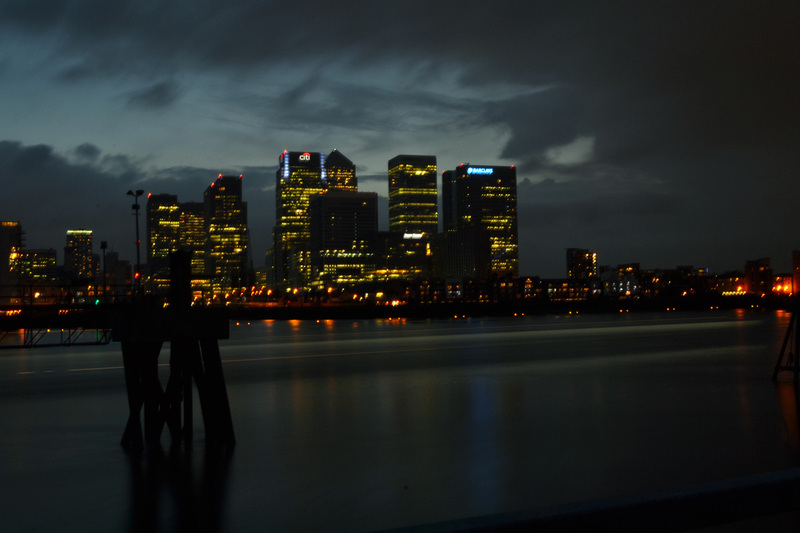 I will incorporate the idea of using reflections alongside long exposure into my photographs of night time scenes. Gilles Coulon (born 1966) is a French photographer who captures the glow of artificial light at night time and the colours it brings out. 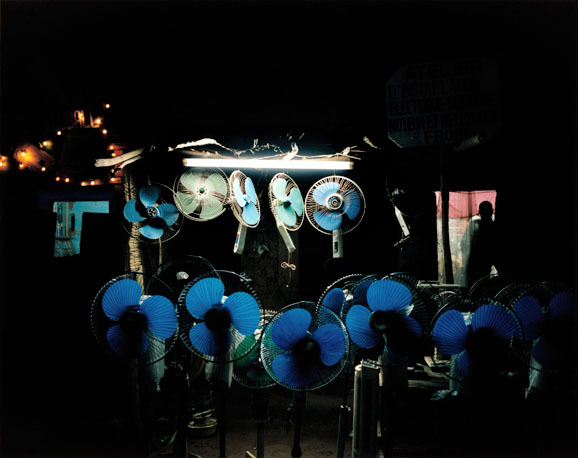 In a trip across Niger, Coulon became obsessed with the effect of tubular neon lights after seeing the way they illuminated night markets, shown to the left. He then proceeded to capture the intense atmospheres created by these lights across Shanghai, New York, Paris, Beijing, Cairo and Helsinki. I like the way that he has made the lighting the subject matter of his photography rather than using it to compliment his photographs. 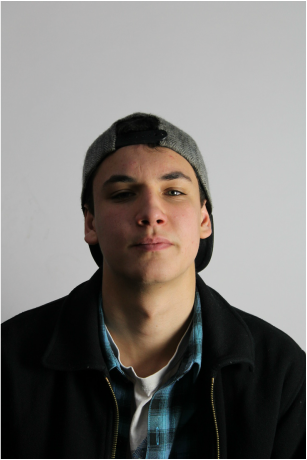 William Eckersley is another photographer who uses lighting as a vital aspect of his composition. His 'Dark City' series shows London, usually illuminated by garish spotlights which bring out deep shadows and silhouettes. The lighting in his images often cast hues of cyan, orange and pink. 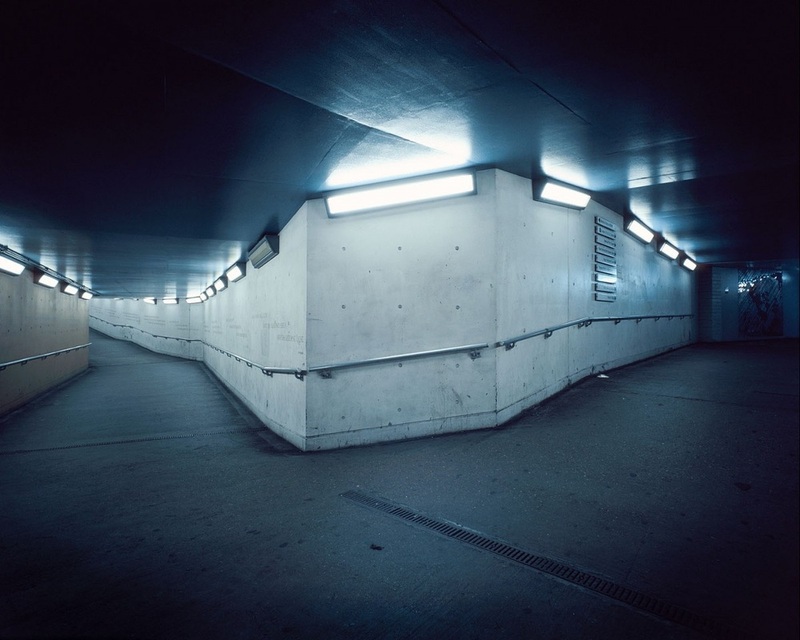 Similarly to Rut Blees Luxemburg, he chooses to photograph at night to bring out these colours as well as to capture scenes devoid of human activity. 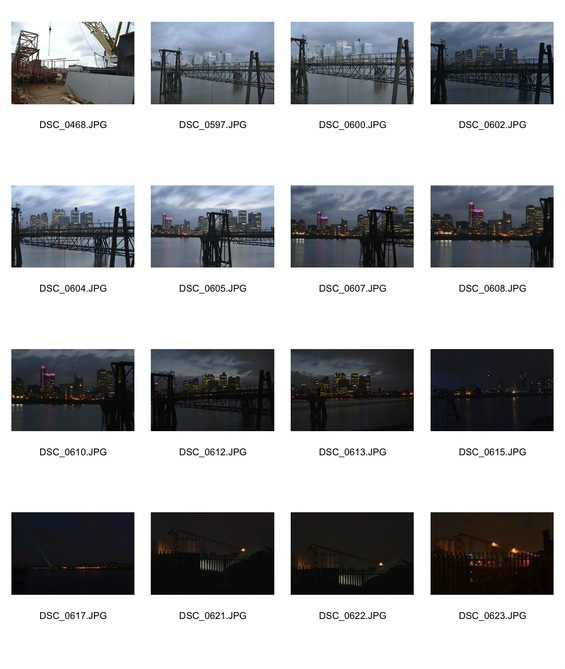 Many of the images in this series, shown below, are taken with a long exposure to bring out the lighting in the composition. I will develop my images using this technique alongside similar compositions that are used by Eckersley to emphasise lighting. In this set I aimed to combine the styles and techniques of Gilles Coulon and William Eckersley to express my own themes of industrialisation and the evolution of a city into dystopia. I will capture night time images of high rise-structures and lower scale industry, using a long exposure and including techniques such as capturing dramatic perspective and catching light trails. In this set I successfully photographed my subject matter using styles and compositions similar to Gilles Coulon and William Eckersley. The night time long exposure shots where light trails from boats and ripples on the water were captured worked best, in my opinion. 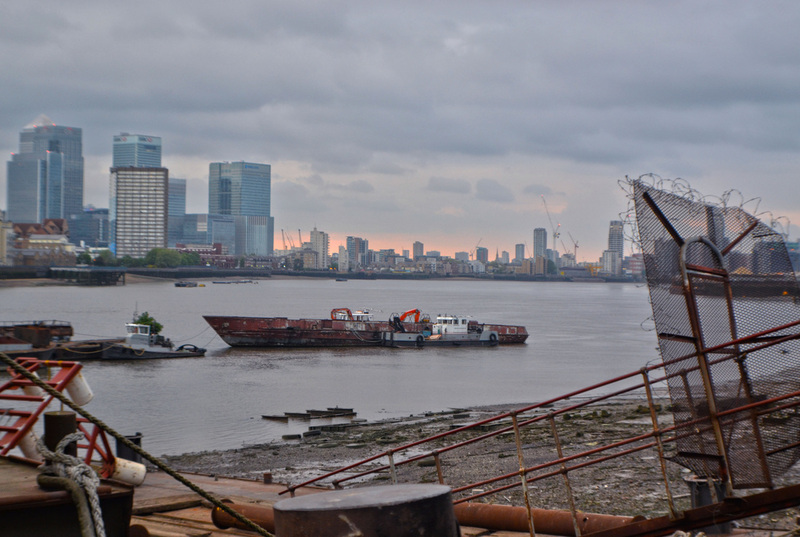 A sense of the industry silhouetting the skyscraper, modern city was achieved when shooting across the Thames with the jetties in the foreground. 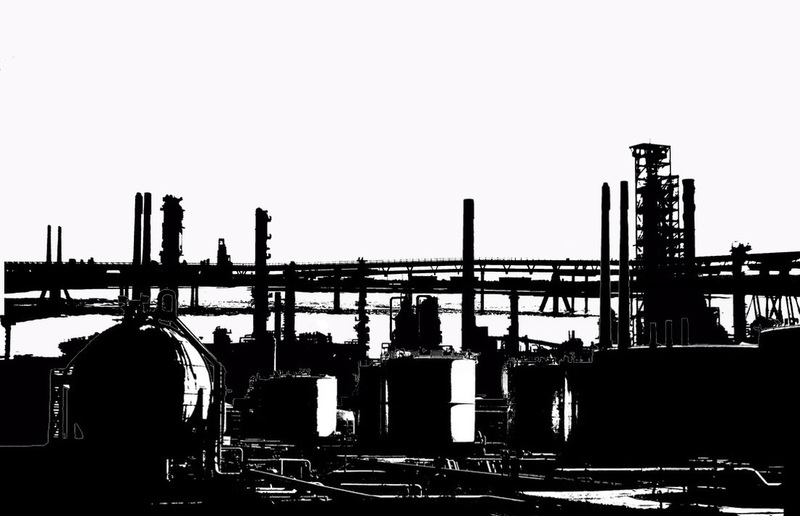 This compositional effect could be developed to express my idea, of the demand of industry contrasting with the city , by almost bringing the polluting industrialisation of our city closer to view. 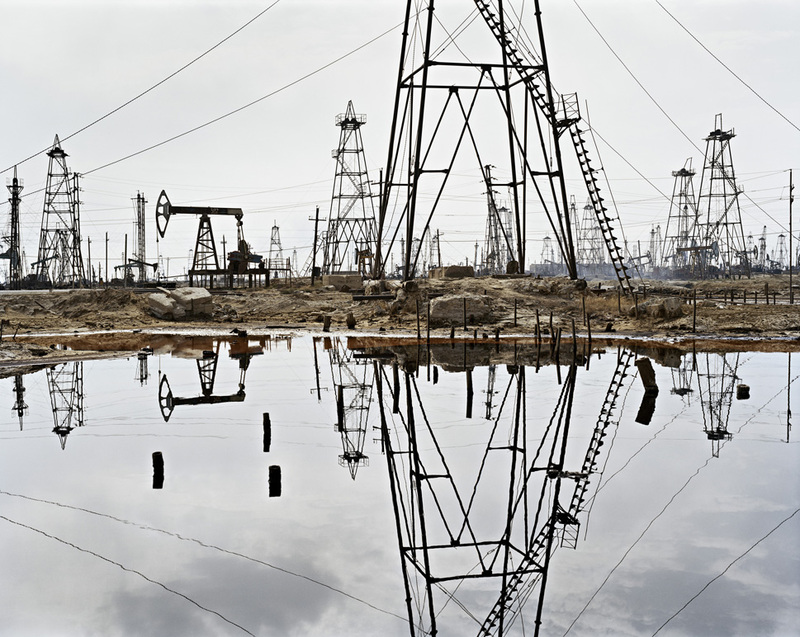 This builds upon Edward Burtynsky's idea that we have pushed industry into such high demand because we cannot see it's direct causes. David Hepher is known for his paintings of high-rise tower blocks, including London's Aylesbury Estate which he studied in detail over many years. 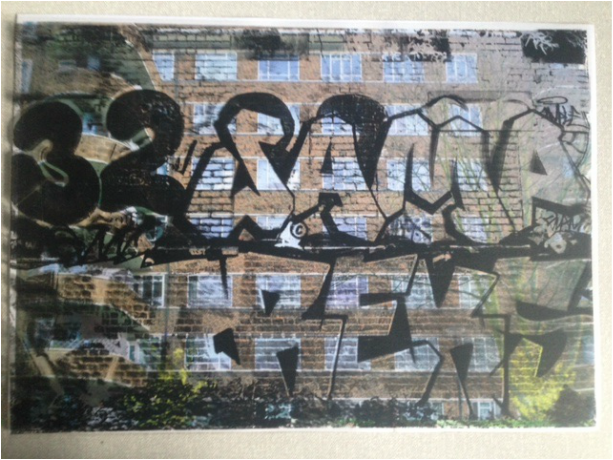 Hepher paints from photos with a photo-realistic style and graffitis over the image to hint at the future of the council estates he studies. 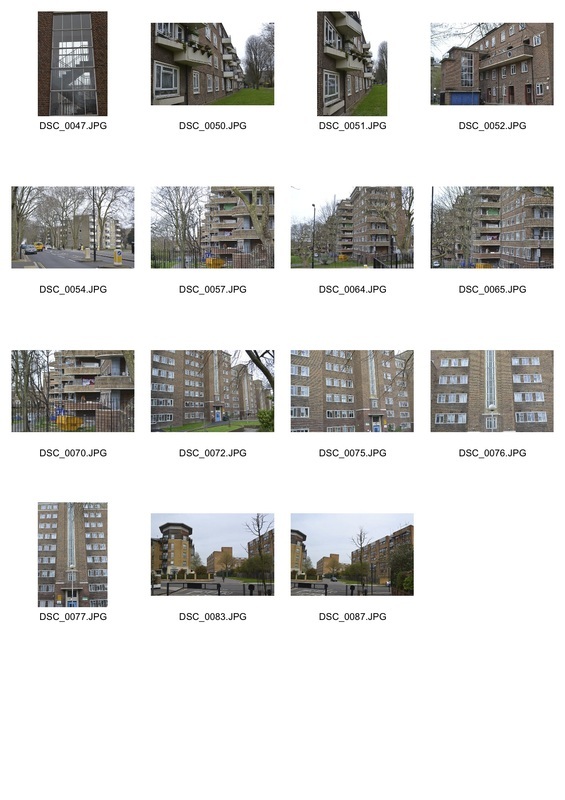 I aim to transfer his technique into photographical form; by capturing flat on images of various local tower blocks and collaging them together, showing the similarities and differences between older and more modern approaches to council housing. 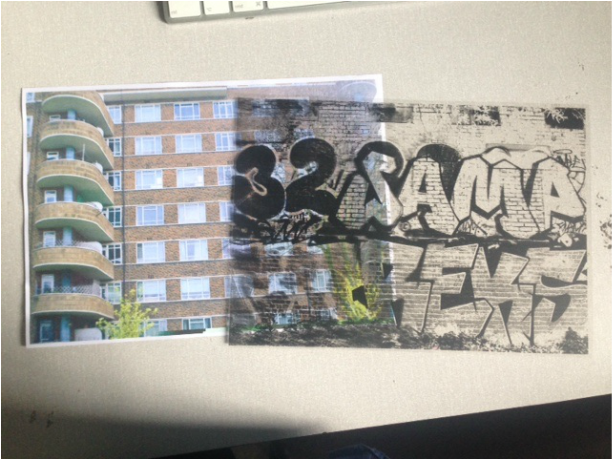 I will then present these images behind a layer of graffiti, perhaps using a sheet of perspex or acetate. This acetate layer will act as a sign of the building's future, a similar effect achieved by the addition of graffiti and collaging in David Hepher's paintings. In response to David Hepher I took a set of images of Drayton Park Estate, the same subject matter that I captured in my Second Set, using similar basic compositions as David Hepher uses in his paintings. I aim to print these photos and cover them with an image of graffiti, printed on a layer of acetate, to achieve a similar final image as David Hepher's paintings of the Albany Flats. 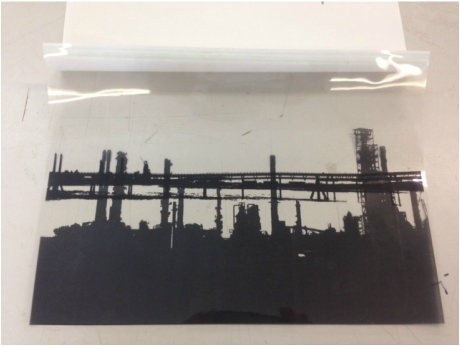 The acetate layer will act as a mask over the background image, showing it's suspected future. This technique will essentially achieve the same meaning as David Hepher's work, but with the ability to remove the second layer. I edited the photos above by adding textured filters to the image, in order to link my work back to David Hepher and his borderline photo realistic painting style. This adjustment may also help to make the graffiti layer to appear clearer. 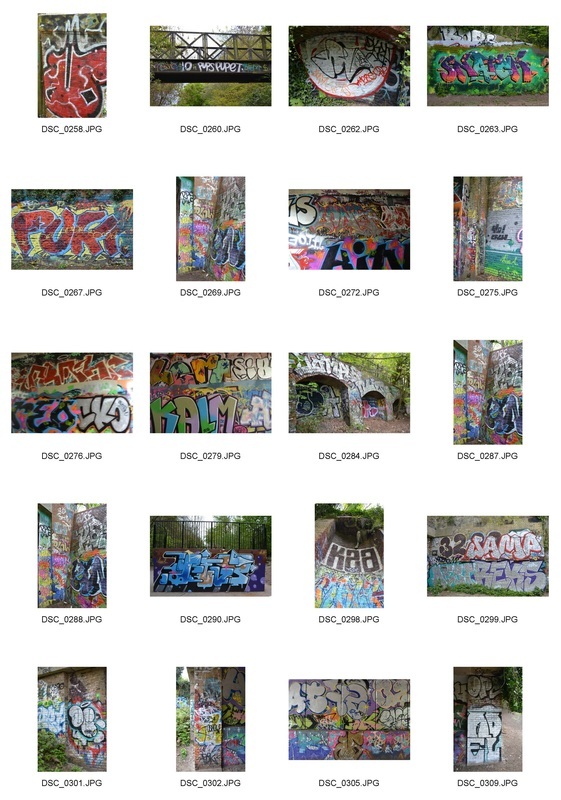 For my foreground image set, I photographed large spaces of graffiti in Parkland Walk. I aimed to capture a full frame of graffiti, which would help to evenly mask over the edited images above. I set the image to black and white, and altered the intensities of colour, changing the bright colours to clear white and the darker colours (usually the outlines) to black. This was done so that when the graffiti layer is printed on acetate, the layer beneath will still be visible through the white areas, as the printer does not print white ink. I chose to edit the images with a full frame of graffiti as this would fully mask the image beneath. To improve this development I could alter my editing process by changing the 'Threshold Levels' using photoshop, this would achieve a clearer contrast between the black and white in the acetate image. This technique would also allow me to remove fine details in the image, for example the brickwork in the graffiti image above. 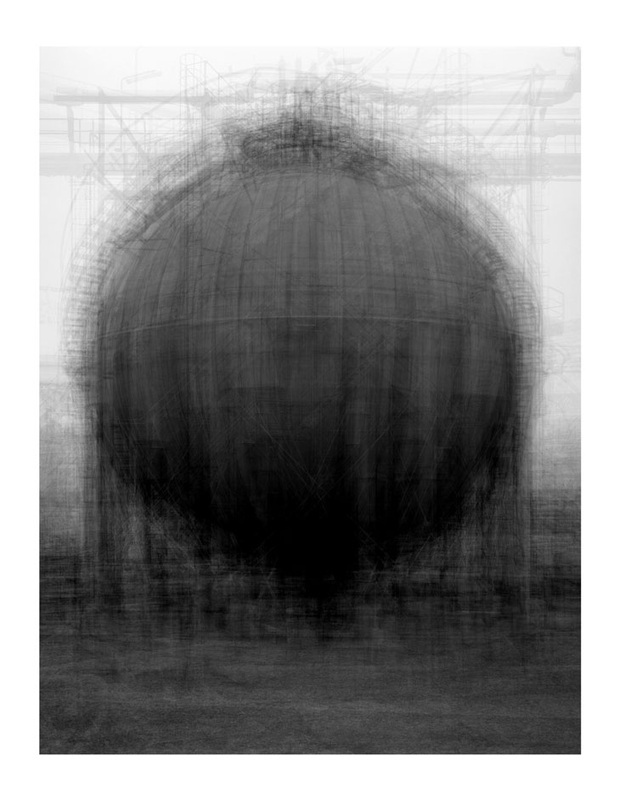 Bernhard or Bernd Becher and Hilla Becher are a German artistic collaborative. 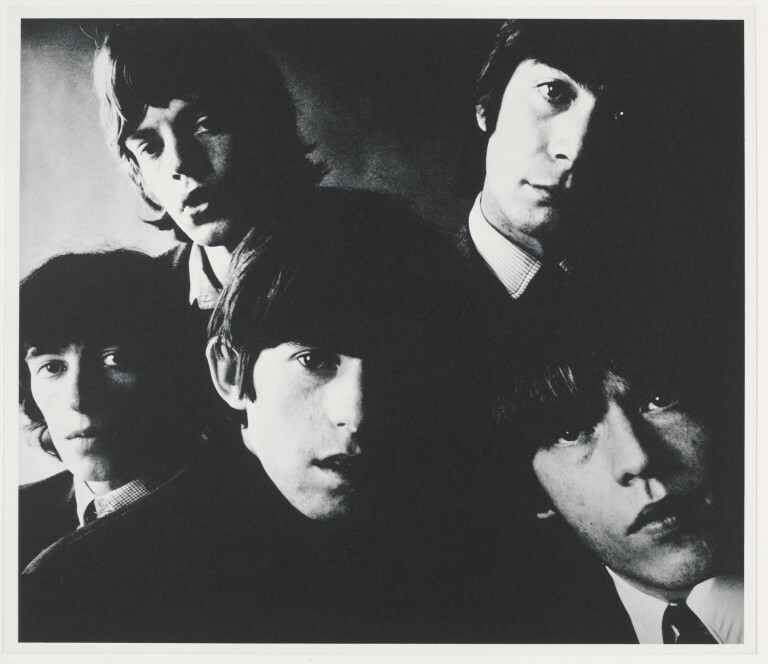 They are most widely known for their photographs or typologies of industrial structures. These two artists aimed to document industrial structures across Germany, Holland and even as broadly England, U.S.A and France. 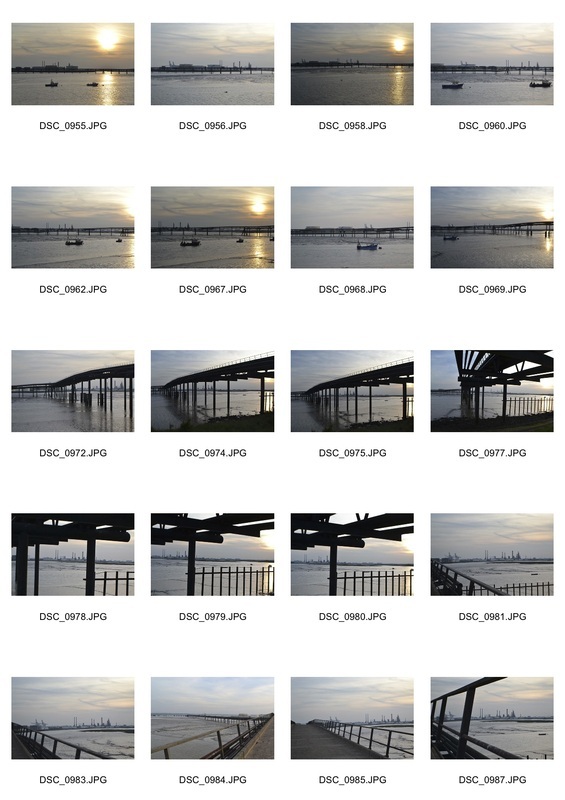 They started producing photos in grids, shown in the picture below, but developed these photos by layering them. 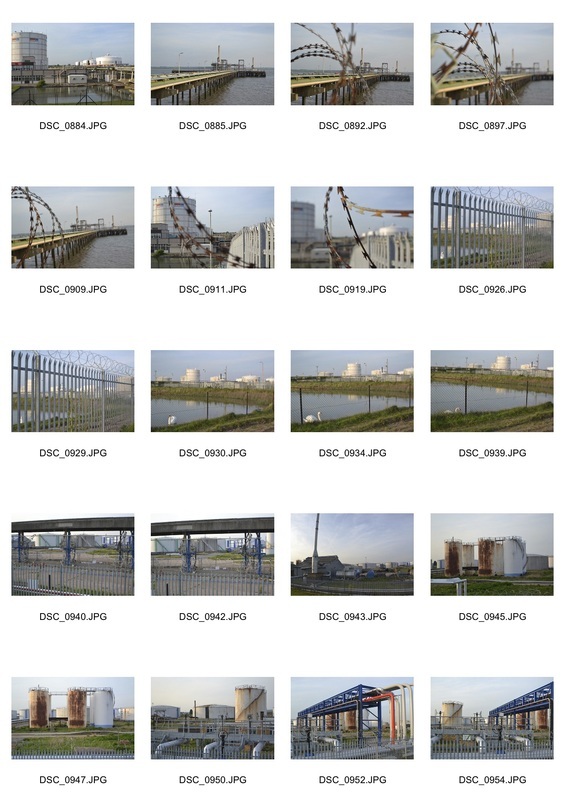 These layered images, shown to the right, are created by either photographing the subject matter from several angles or photographing several similar structures and layered on top of one another. I aim to develop this technique to help me physically represent my recurring theme of bringing in heavy industry closer into view, to display the results of our demands upon an evolving city. I have developed my subject matter by essentially revealing more of the bigger picture of Industrialisation. As you can see in the span of images below, I have taken a step back from the rise of council estates to reveal the almost parallel rise of industry. Eventually, I aim to bring industry into my images to 'display the results of our high demands on an evolving city', a theme discussed in Edward Burtynsky's work. 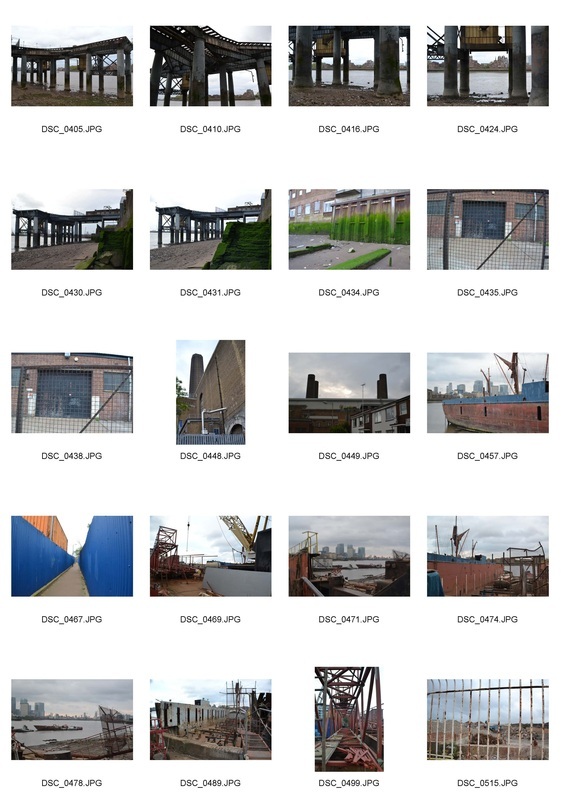 To initiate my photography of industrial structures I re-visited Blackwall Estate and the Blackwall Docks, I aimed to capture images of heavy industry. 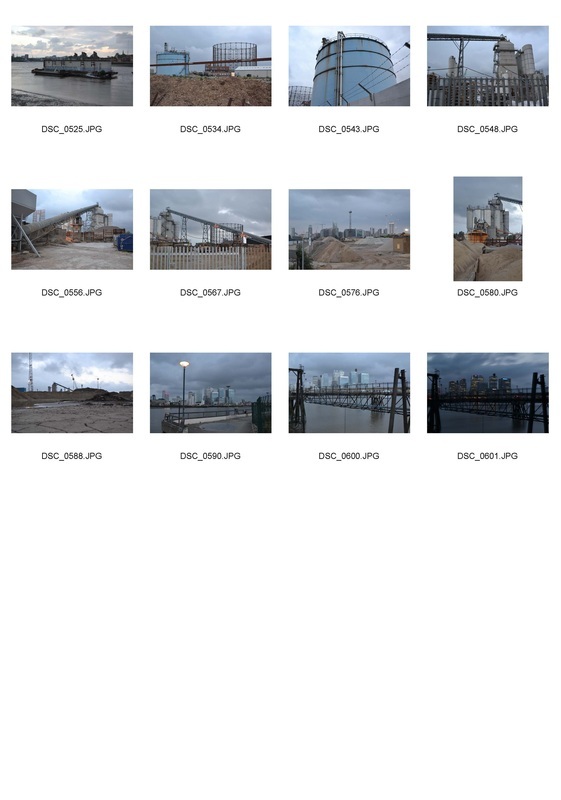 Eventually, I began photographing the centre of the city across the river, keeping these industrial structures in the foreground to continue my theme. Shell Haven was once a port on the north bank of the Thames Estuary towards Essex, until it was developed into an oil refinery. This refinery closed in 1999 and the land was developed further, into a deep water storage port. The oil refinery still stands, alongside several jetties from it's years as a port and a growing number of water and gas storage structures. A recent fire, which started from one of the major distillers, in the centre of the site meant that there were strict trespassing rules in and around the refinery and high security fences which backed up onto the river. This made photographing details of the structures inside the site difficult. 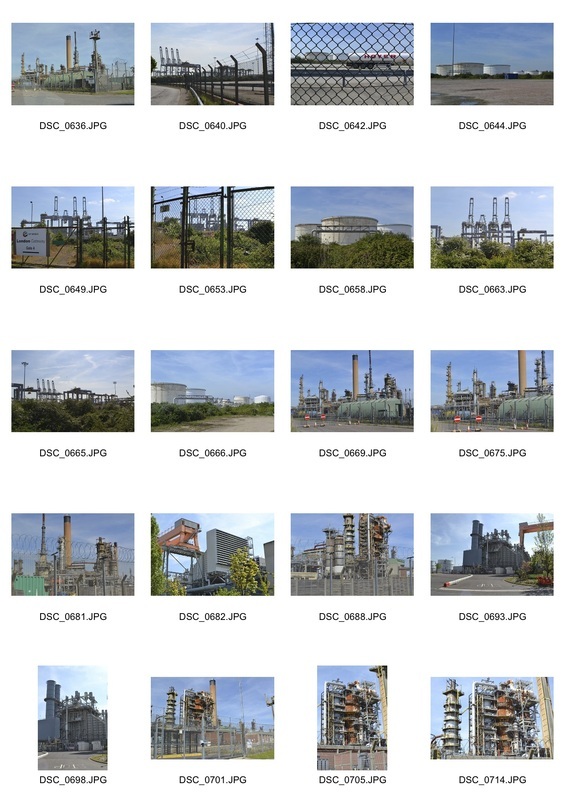 This large site's eventful history and wide span of varied industrial structures gave me the opportunity to photograph an area suffering industrialisation on a gigantic scale. These extremes will help me to display the kind of and heavy industry that Edward Burtynsky uses to bring the results of high demand closer to home. 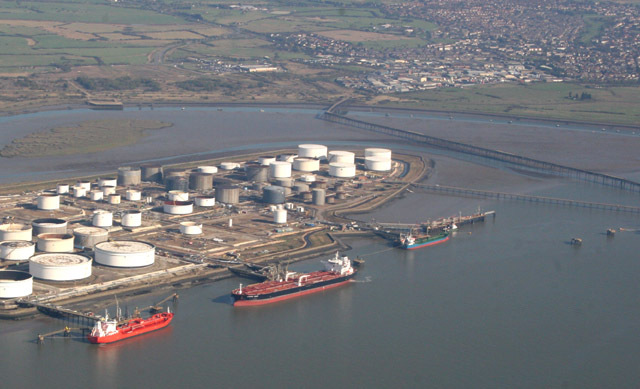 Canvey Island is slightly further down the Thames estuary than the Shell Haven refinery and was a functioning oil refinery until 2012. 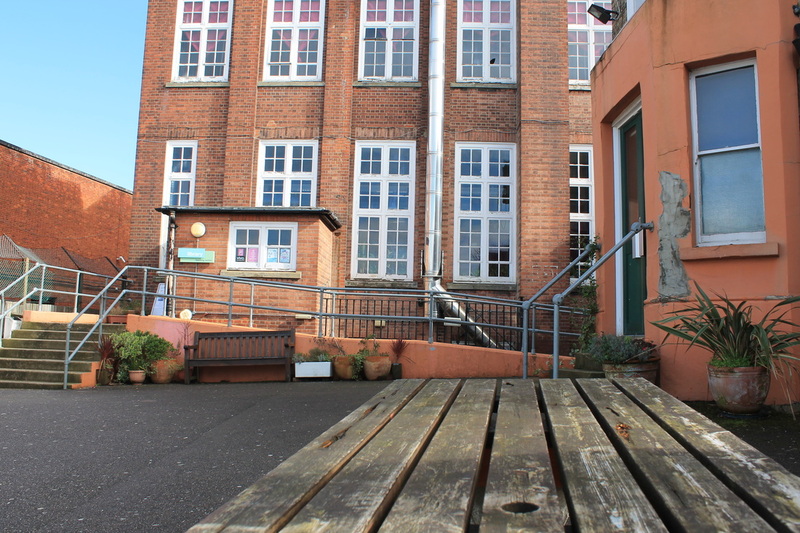 Due to it's close proximity to the local town, this site was easier to photograph because of pathways around the exterior fences. 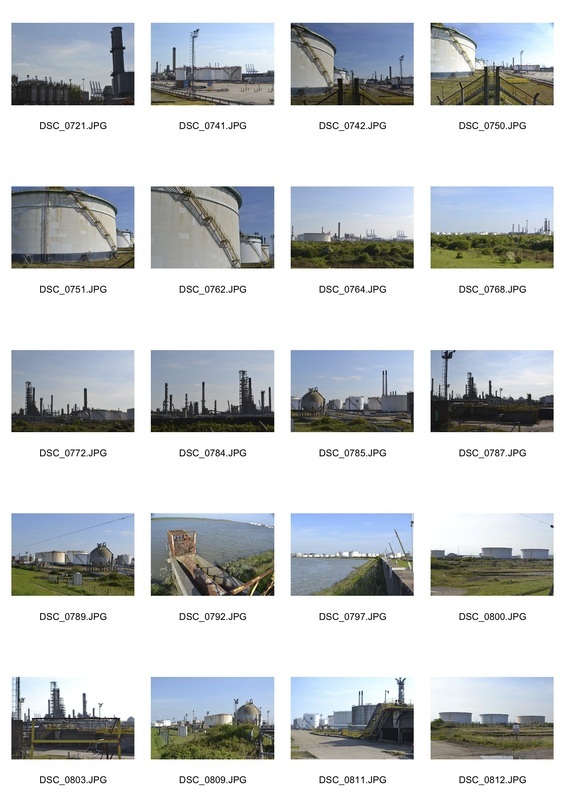 This allowed me to work on my composition better as well as allowing me to achieve closer details of the structures within the refinery. 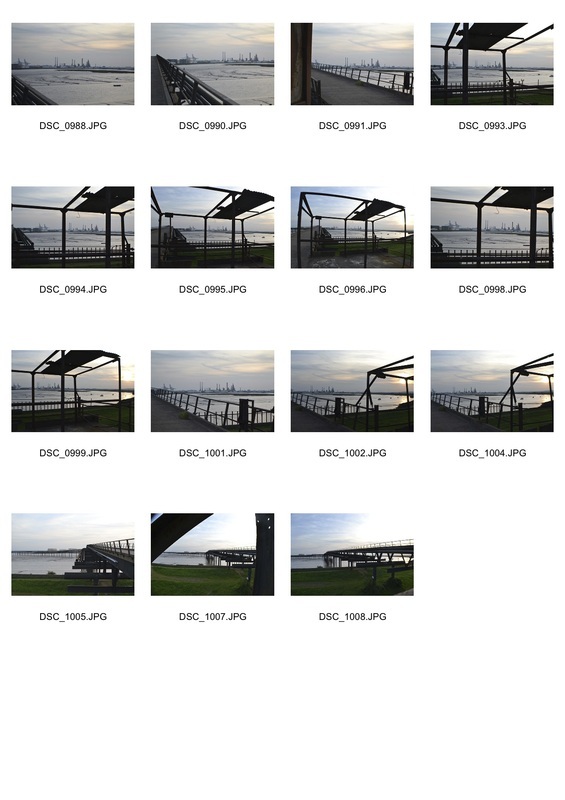 I set a selection of shots from my three series of photos from Shell Haven, Canvey Island and Canvey Island's Oil Jetty. 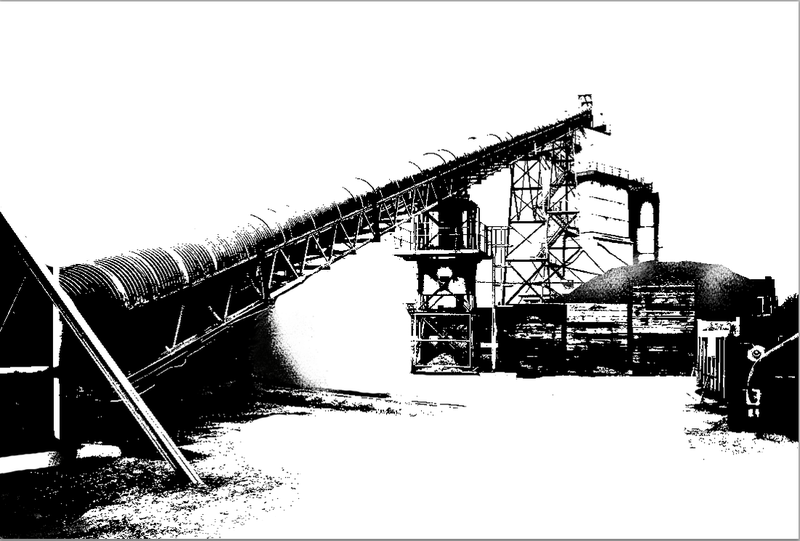 This not only offers a contrast against the large number of colour images in my study on industrialisation. 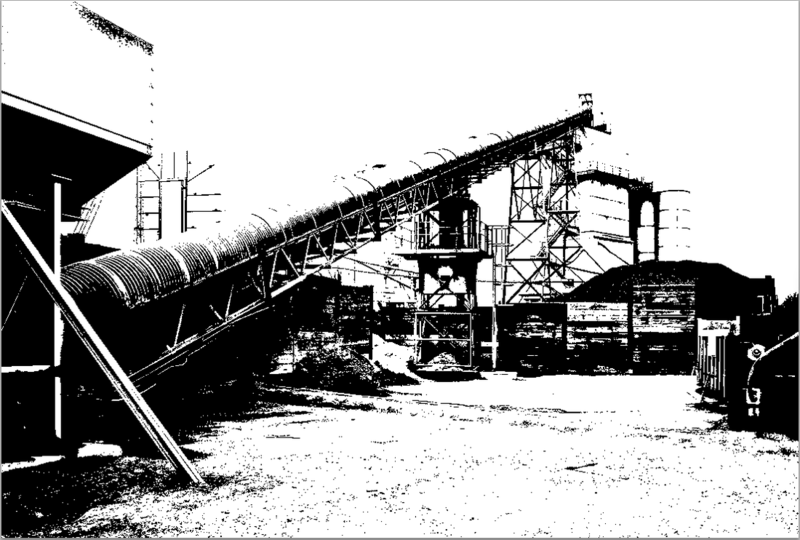 The black and white links these images back to the era of the industrial revolution, when black and white photography was still dominant and when heavy industrial structures like these were a lot closer to home, in the center of our cities. As many of these structures are now not in use, I found it fitting that they were depicted as ancient monolithic structures, which was achieved with the use of this black and white edit. By using the threshold feature in adjustments, I changed the image to a silhouette, altering the threshold levels to achieve a reasonable amount of detail. The focus of the image is then narrowed down by erasing the background and fine details that make the image busy, by first using the paint bucket tool to white out larger sections of black, followed by the eraser tool to eliminate smaller sections. 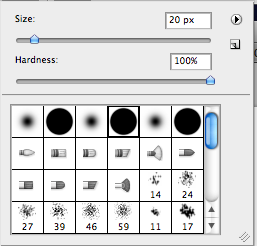 The hardness of these tools are turned up to the full to ensure a simplified black and white image with few mid-tones, and the size of the pointer is changed depending on the accuracy required. The images above are of two acetate prints, the first image shows them individually and the second shows the two sheets when layered over eachother. 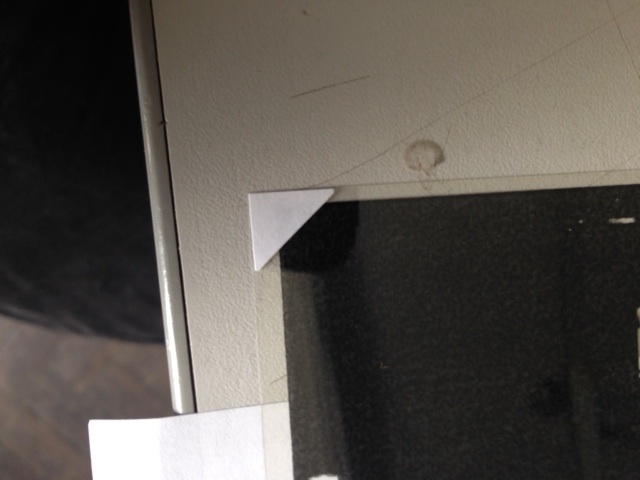 It is important that the background image is still visible through the three layers of acetate prints. I wanted to achieve the impression of distance, making each mage larger as it gets closer and by dropping down the prints towards the front to reveal the prints behind. The image below is a representation, created using photoshop, of the view through the three acetate layers in my final piece. As you can see the closer layers have been lowered to reveal the layers behind. 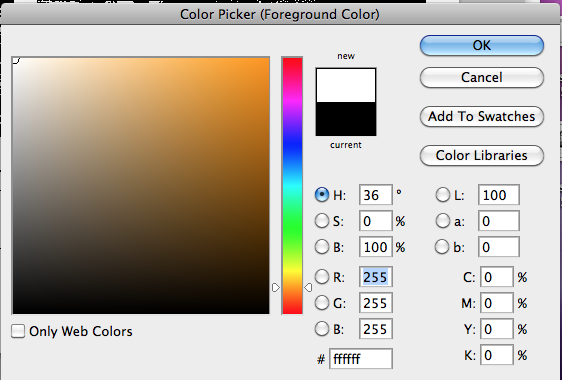 The sky area of these layers has been left blank so that the background image will be able to show through. 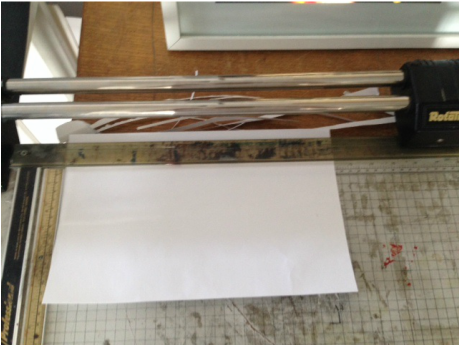 The plywood plinth was made to hold the perspex sheets, the perspex sheets will hold the acetate prints in place in front of the background image. 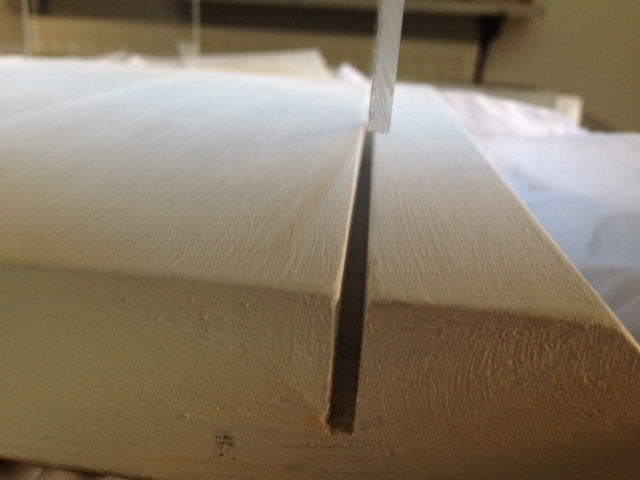 The plinth was made by screwing chunks of wood onto a thin 1.2mm plywood base, with tight gaps in between to clamp the perspex. The perspex is one inch longer than A4 so that standard A4 sized prints can be adhered to them while inserted into the plinth. Finally the plinth was painted white with primer so that it blends into the background and does not take attention away from the prints. I began assembling my final piece by printing the background image on photographic paper and the silhouette images on standard A4 paper. 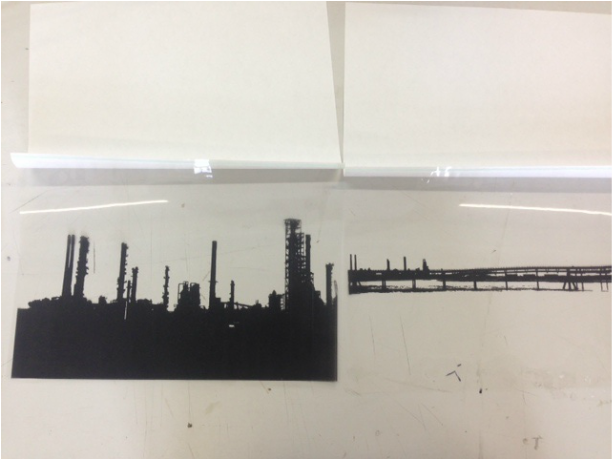 The silhouette prints were then photocopied onto acetate sheets as the acetate cannot be directly printed onto. 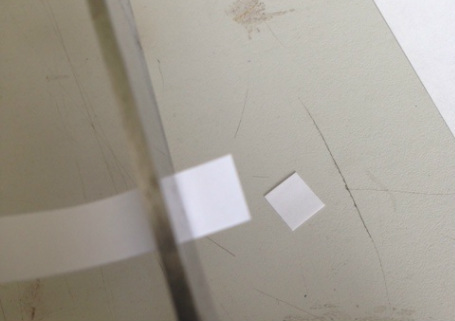 I then cut a centimeter wide strip of double sided tape and cut the strip into triangular shapes, these shapes will be used to adhere the corners of the acetate to the perspex discreetly. I then had to clean the perspex sheets of any smudges and fingerprints using screen cleaner, in order to allow a clear view through the perspex layers to the background image. 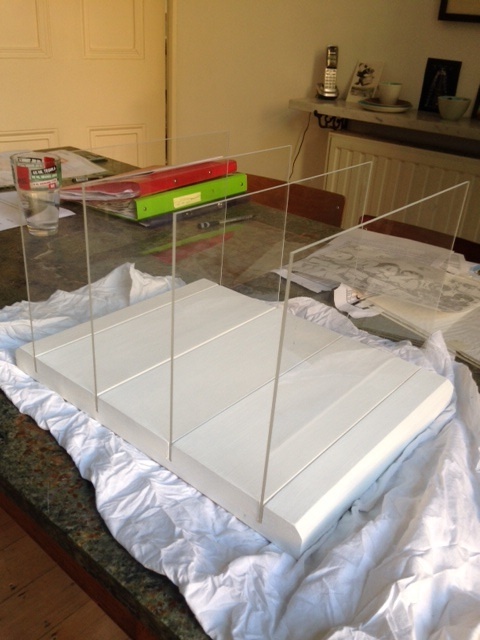 After cleaning, I stuck the acetate to the perspex sheets and inserted the perspex into the plinth. My aim at the start of this project was to bring heavy industrialism, the result of the modern worlds high demands on the evolving modern city. 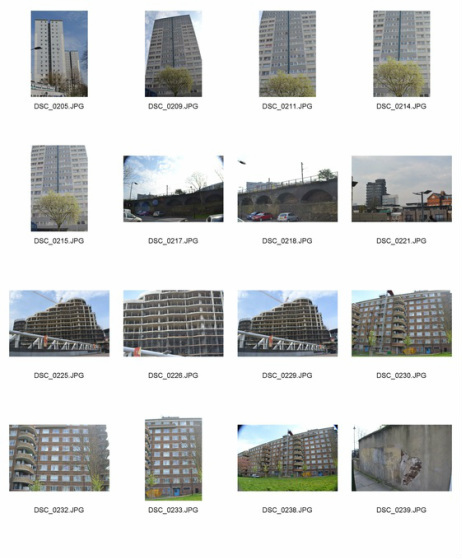 I have taken two approaches to this idea, the first through capturing images of high rise council estates using techniques inspired by the work of Rut Blees Luxemburg, Gilles Coulon, William Eckersley, but most importantly the ideas of artist and architect, Le Corbusier. 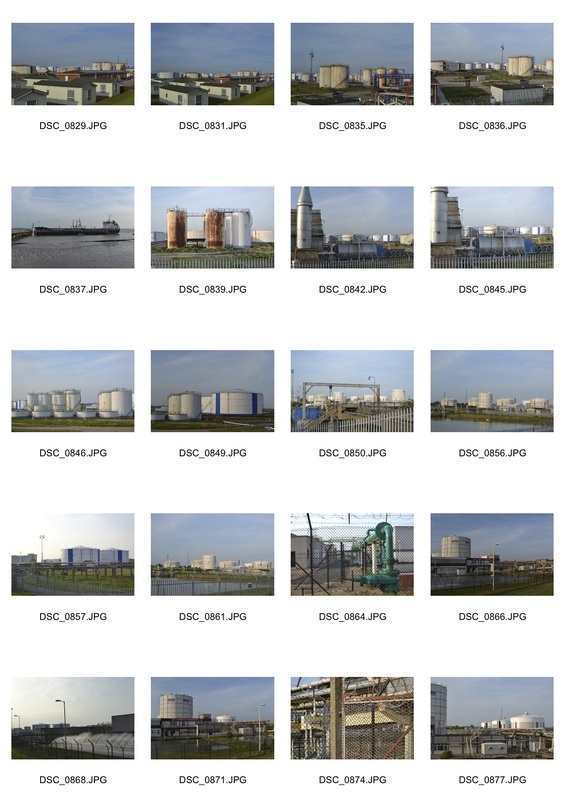 My second approach was to display the strength and threat of industrialisation, which was carried out by photographing large scale sites such as oil refineries, dockyards, gas and water storage units. My final representation of this idea was shown using techniques inspired by the paintings of David Hepher and the photographic techniques of Bernd and Hilla Becher. 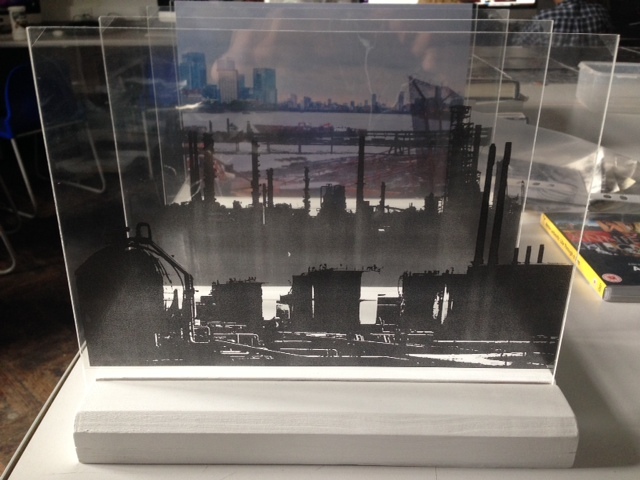 I believe this piece works successfully in photographically and visually bringing the results of industrialisation closer to home, the piece presents a changeable view of the centre of the city, being crowded with details of heavy industry. The fact that even the background image has a blocked view due to industrial structures, emphasises the idea that the world is suffering for our growth as a city. To improve this piece I could produce it on a larger scale to increase it's impact on it's audience.